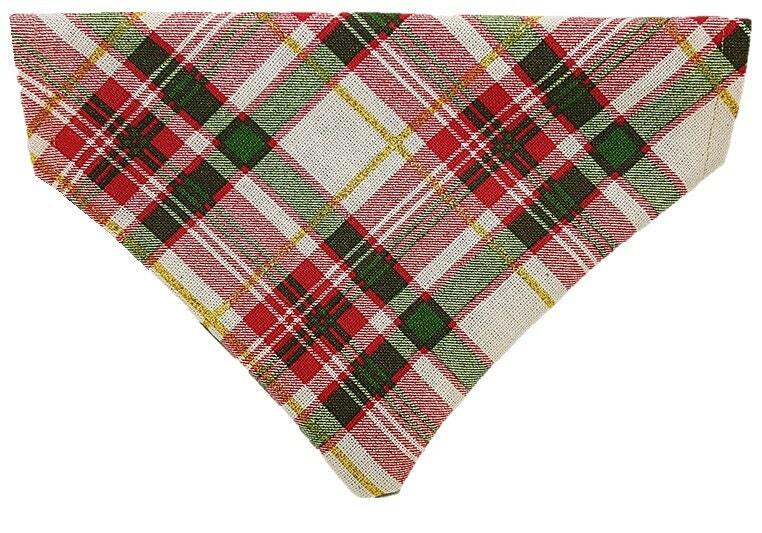 ♥ The Holiday Plaid reversible dog bandana is a beautiful red, green, gold and khaki plaid design with a reverse side featuring a beautiful evergreen shade of green with shiny gold swirls and the entire bandana has a shiny gold stitching! 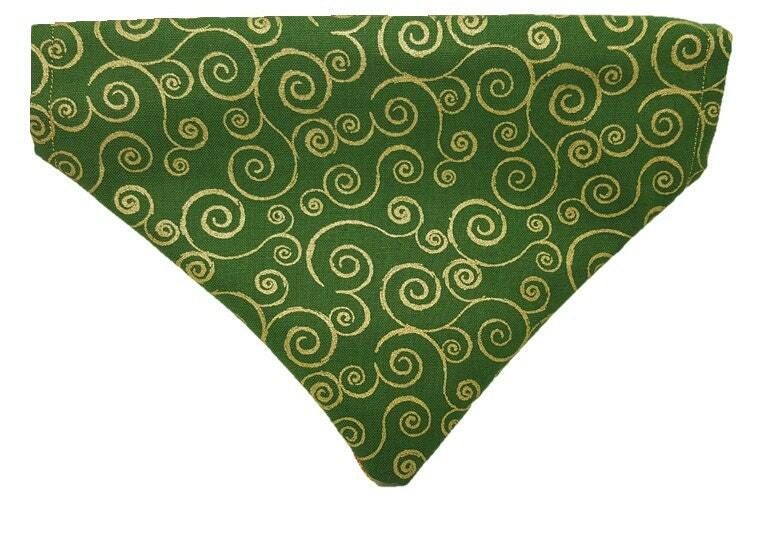 This bandana is the perfect addition to your holiday family photos and gatherings to keep your pup in the spirit! Easily slide your best friend's collar through the hole at the top. It will securely stay so there is no hassle having to tie it over and over and your pup looks fashionable! Hand wash and air dry.